I was never a huge fighting game fan growing up but I always enjoyed the occasional game of Street Fighter II Turbo on the SNES. I also played several of the Mortal Kombat games, Killer Instinct, and Primal Rage. 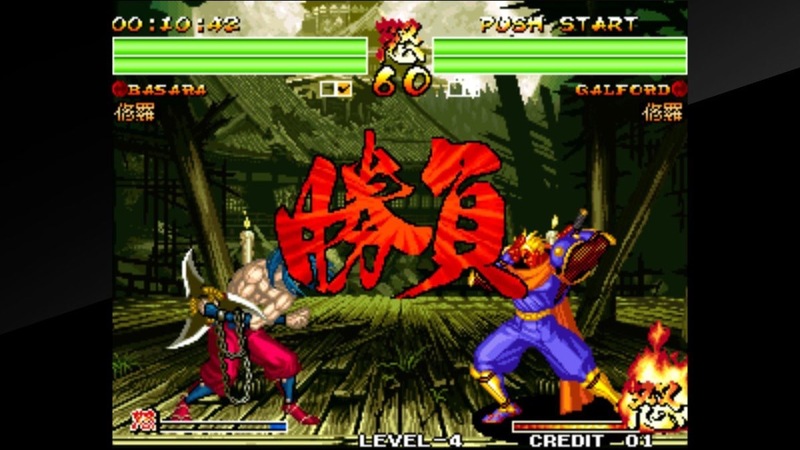 But, there was always one special fighting game series that I enjoyed playing the most, Samurai Shodown. The first game was in our local arcade growing up and my brothers and I spent many a quarter on it. 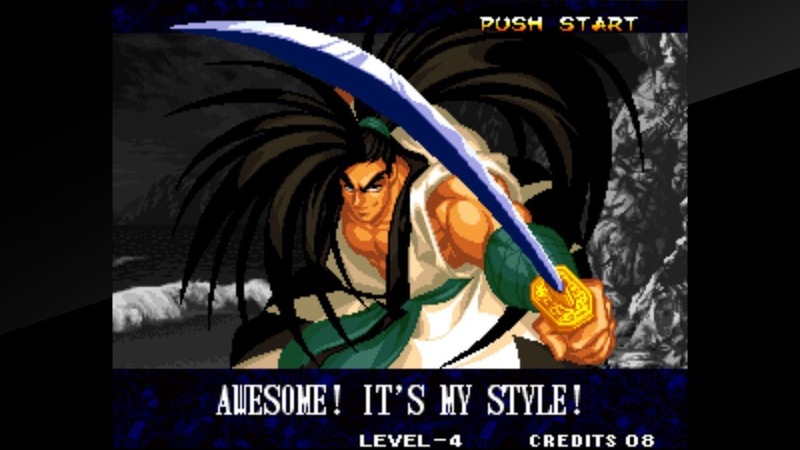 Each new Samurai Shodown added some new characters and pushed the graphical envelope ever so slightly while still retaining their signature animation and art-style. 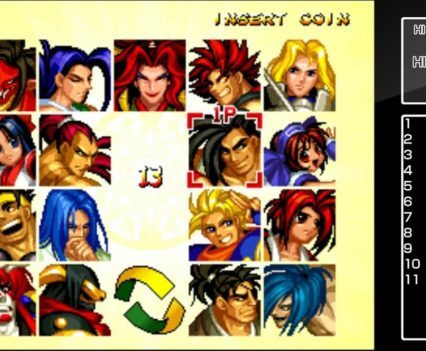 Samurai Shodown IV doesn’t include all of the characters from I, II, and III but it have plenty of fan-favorites like Haohmaru, Ukyo, and Basara (my favorite who was introduced in Samurai Shodown III). 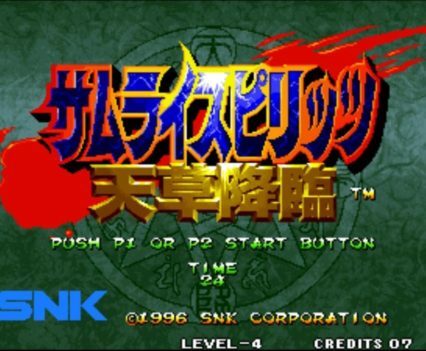 SNK and the Neo Geo system itself are known for their fighting games with Samurai Shodown being the most notable in my eyes (I also really liked the Last Blade games). Getting into the Switch port of the game, Hampster Co. has produced a very faithful version of the arcade classic. The Switch version of the game, which sells for $7.99 on the Switch eShop, contains the full Japanese version of the game as well as the English version along with a couple new modes. 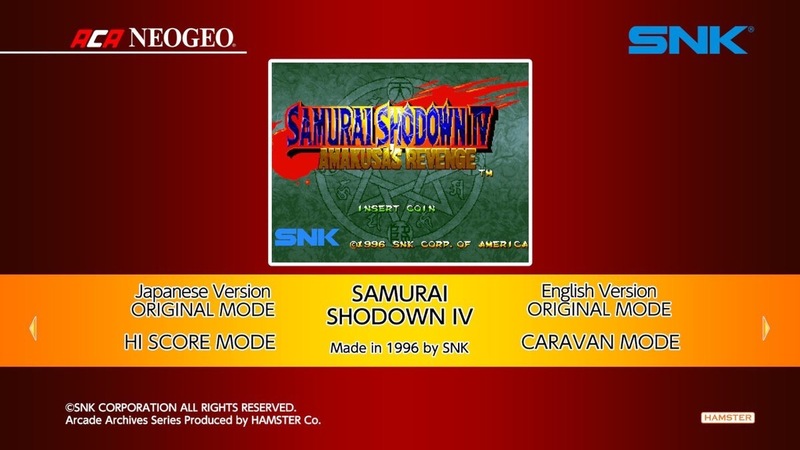 The new modes include a ‘Hi Score Mode’ and a ‘Caravan Mode’. The Hi Score Mode challenges players to finish the game’s arcade/story mode as quickly as possible. There is a list of the top times displayed on the right-hand side of the screen along with your current time so you can see it any time while playing. There is a menu that players can display by pressing the – or + button but be warned—if you press the menu button you have to restart the game. This seems really odd to me. Sure, you may only press those buttons when you want to restart your play through to get a better time but what if you hit that button by mistake? This is true for both the Hi Score Mode and the Caravan Mode. Speaking of the Caravan Mode, this mode has players trying to win as many matches as possible within 5 minutes. It also shows a high score list on the right-hand side of the screen along with your current progress. The core game, whether you’re playing the Japanese version or the English version, is fantastic. 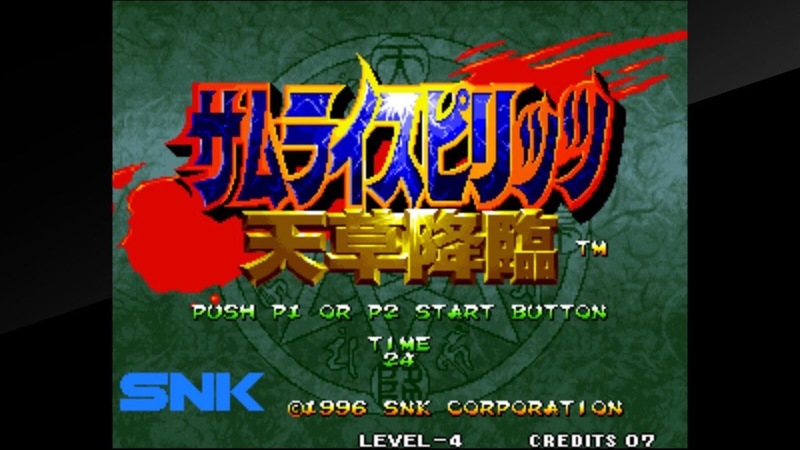 It feels just like the Neo Geo original and the Switch port even gives the player options to change the display settings to show the scan lines to get that retro feel. 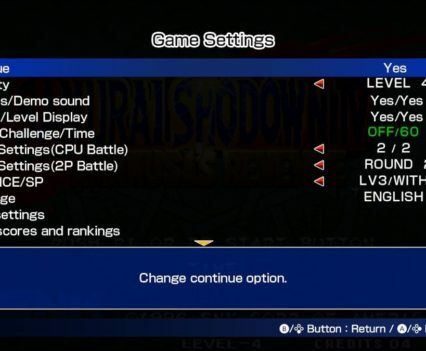 There are also several difficulty settings to toggle and many more options including re-mapping buttons. 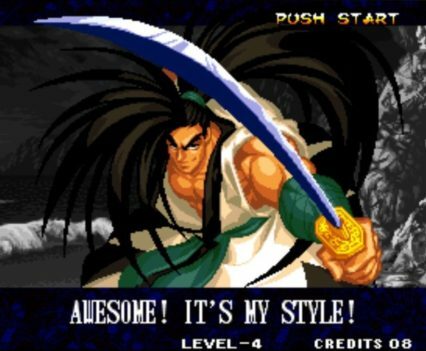 If you’ve never played a Samurai Shodown game, you’re in for a treat. The gameplay is fast and frantic and is beginner-friendly. 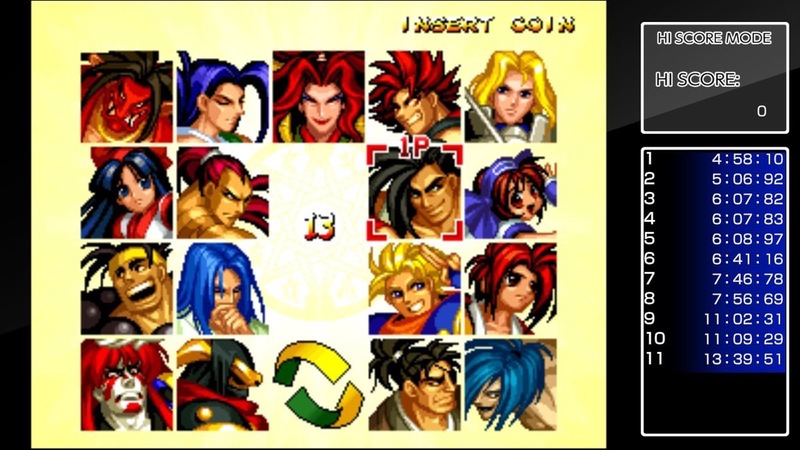 It’s not as input-specific as some fighters although there is plenty of depth for more experienced players. 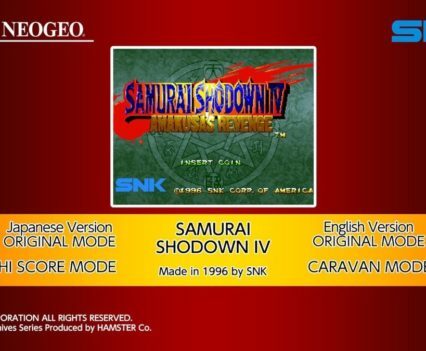 No fighting game is complete without some sort of multiplayer mode and Samurai Shodown IV is no different. There is drop-in multiplayer support for up to 2 players. Each player can even use a left and right JoyCon to play, although the JoyCons can get a little cramped for long play sessions. 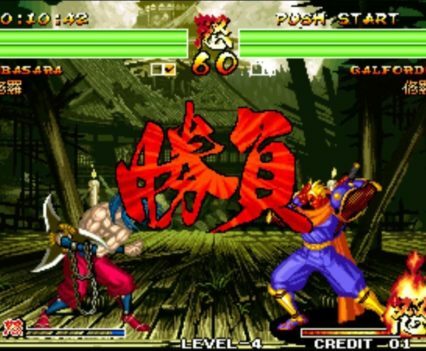 If you’re looking for a fighting game at a great price for the Switch and have never experienced a Samurai Shodown game, you need to check it out. You’ll be glad you did!